How do you sell a movie that's premise takes a bonkers but brilliant turn in its second act, without giving away said twist? This is the seemingly impossible task put to the marketing team of RADiUS, the distributor of the unconventional and sensational romantic-comedy The One I Love. From the film's first trailer viewable above, it seems the answer is to tease--but not reveal--that twist, then roll out its scads of critical praise. Well played, RADiUS. Well played. 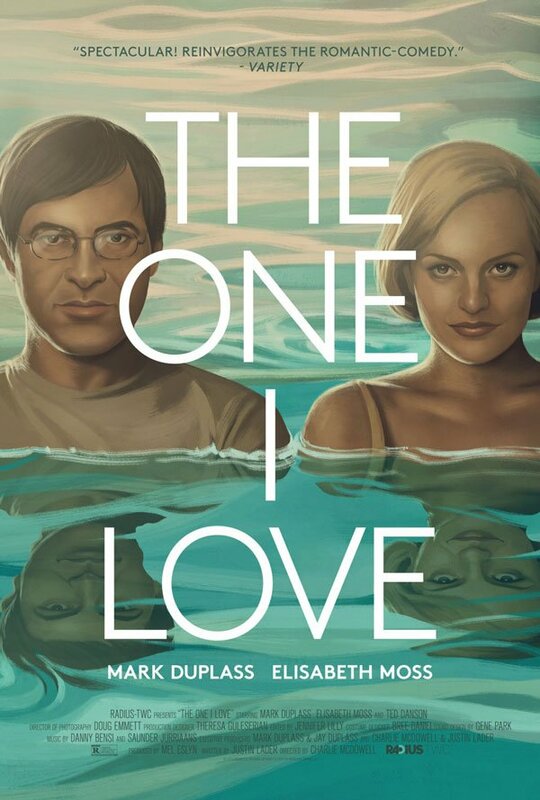 Mark Duplass and Elisabeth Moss co-star in The One I Love as Ethan and Sophie, a married couple on the brink of separation. But there's a ray of hope when their therapist (Ted Danson) sends them on a weekend retreat where they can focus on their relationship, and rediscover what brought them together to begin with. But at a beautiful, isolated home with a pool and guesthouse, the two discover something strange that could change their lives--and relationship--forever. The One I Love made its world premiere at the Sundance Film Festival last fall. While the praise for the film that stars Mark Duplass and Elisabeth Moss was immediate, the reviews out of Sundance were noticeably--and at times infuriatingly--vague when it came to the movie's plot. When I finally had the good fortune to see this rom-com at The Tribeca Film Festival, I at long last understood. Not knowing the twist made the film far more fun and thrilling. But how do you write a proper review that digs into what makes The One I Love and the performances by its leads so stupendous without getting into the second act's details. You can read my review, divided into a spoiler-free and spoiler-filled section, here. But does this coyness on the part of the advertising campaign work? Are you appropriately intrigued? Based on this trailer and poster, will you see The One I Love? The One I Love will open in limited release August 15th.